"Some people know better than to stick around in a war zone?!" RLJ has unveiled an official trailer for the action film Bushwick, a very low budget project that first premiered at the Sundance Film Festival in the Midnight category this year. This has a cool concept - it plays out as one single shot following a woman, Brittany Snow, who emerges from the subway in Brooklyn, NYC to discover the city is being invaded by the military. The backstory is that Texas is seceding from the US, and NYC is under attack. She runs around trying to get home and befriends Dave Bautista. The cast includes Christian Navarro, Arturo Castro, Jeremie Harris, and Jeff Lima. As cool as this may seem, it's actually a terrible film. I saw it at Sundance and hated it, does not live up to expectations at all. I suggest skipping this, it's really not worth your time. The story of twenty-year-old Lucy (Snow) and war veteran Stupe (Bautista). Texas is trying to secede from the U.S., and NYC is being used as a negotiation tool. Lucy meets Stupe after coming up from the subway into the military invasion of Brooklyn. Together they decide to cross the treacherous five blocks of Bushwick - littered with looters, local militias, the invading forces, and one crazy cousin - in order to get home and be reunited with Lucy's grandmother. Bushwick is directed by filmmakers Cary Murnion & Jonathan Milott, both of the film Cooties previously, and episodes of "The Off Season". The screenplay is written by Nick Damici & Graham Reznick. This premiered at the Sundance Film Festival in the Midnight section. RLJ Ent. 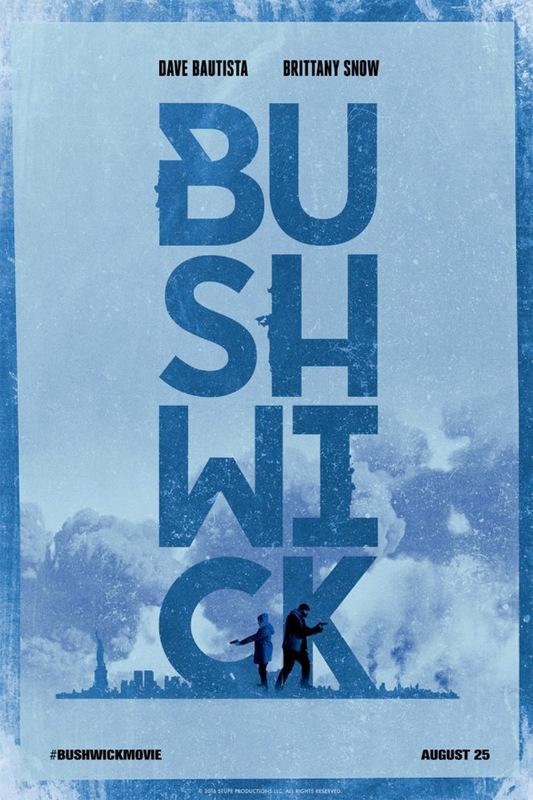 opens Bushwick in select theaters + on VOD starting August 25th this summer. Anyone?